The Age of Adaline seemed to be born out of a Nicolas Sparks novel with incredible coincidences and a quasi-sappy storyline. That said, I can’t deny this was at least an entertaining and inventive romantic-drama with some fine performances including Harrison Ford and Ellen Burnstyn, and to some extent Blake Lively. If you’re game for this type of film, it might be worth a rental. 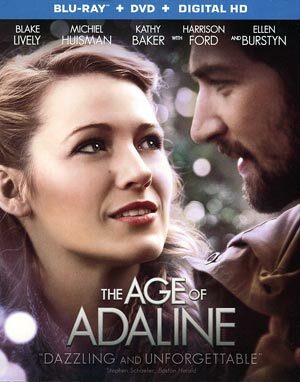 The Age of Adaline had an interesting and promising premise unfortunately it failed to live up to the promise and any exploration into the core of the central character felt shallow and add in some self-importance and you have a romantic drama that is pleasing enough yet forgettable. I also couldn’t ignore a voice at the back of my mind that by the film’s climax screamed “NICOLAS SPARKS!” Although this wasn’t based on one of Sparks’ 200 syrupy romantic novels, it certainly seemed like it. 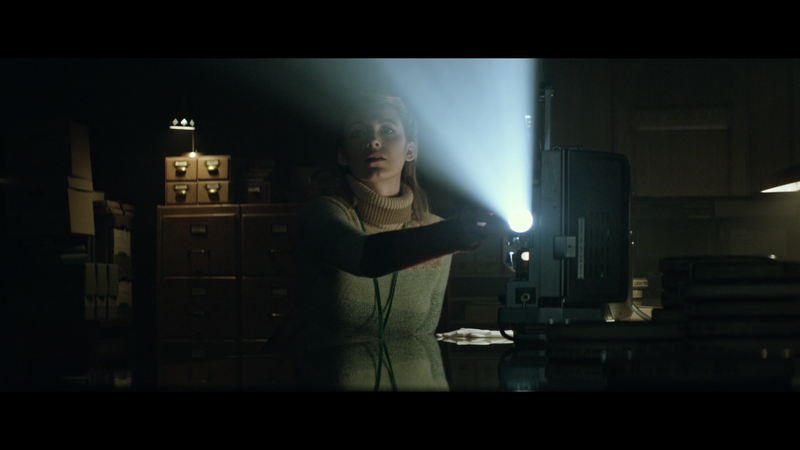 The story centers on Adaline Bowman (BLAKE LIVELY), born in 1906 and 25-some-odd years later, in a freak accident, immerges unscathed but quickly discovers she stopped aging, permanently fixed at the age of 29. Sounds like a cool experience but it’s anything but especially when she must leave her daughter, who was entering college, as the FBI was after her, and from then forth moves from place to place and every 10 years changing her identity. This lonely life is void of many close friends and certainly any meaningful relationships, one of which in the 1960s she abandoned leaving the poor fellow, who was about to propose, left on a park bench. In the present day, Adaline, going under the name of Jenny Bydwell, lives an unassuming life working at a library in San Francisco. Her daughter (ELLEN BURNSTYN) is now much older and considering moving into a retirement home. Celebrating New Year’s Eve at a party, a handsome young man named Ellis Jones (MICHIEL HUISMAN) takes notice of her and in spite of being persistent, to the point of being on the fringe of the creepy scale, she turns down his advances. Little did she know but Ellis served on the board that runs the library and after more insistence, she eventually agrees to go on a date which goes well and the pair seals the (soft PG-13 rated) relationship on the second date. Ellis has already fallen head over heels and invites Adaline to his parents’ home to celebrate their 40th wedding anniversary. 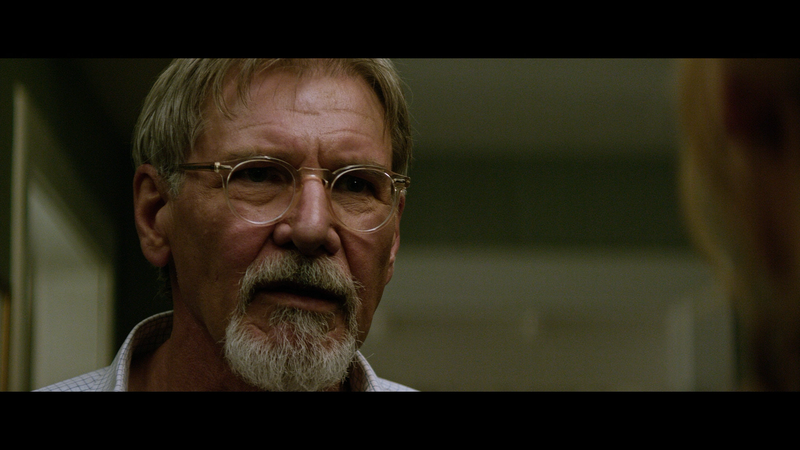 And wouldn’t you know it – this is where Spark-ism comes into play – the father, William Jones (HARRISON FORD), just so happens to be the man she stood up decades earlier. Needless to say William is stunned to her and at first she pass herself off as Adaline’s daughter but his wonderment of seeing her makes things a tad awkward especially with William’s wife (KATHY BAKER). In spite of my concerns outlined in the opening, and there are many, I will admit there is a certain charm behind The Age of Adaline. Like The Curious Case of Benjamin Button before it, Adaline at least manages to have a charming cast and in particular, nice performances from Blake Lively and, albeit a smaller role, Harrison Ford who brings a nice gravitas to the film. Ellen Burnstyn for her part also delivers with great emotion. The film was helmed by Lee Toland Krieger, best known for directing then romantic-comedy Celeste and Jesse Forever, and here he brings some interesting visuals and style complimented by fantastic cinematography from David Lazenberg (Paper Towns). The look of San Francisco over the years is amazing and just all around great photography to give the film a soul. Not surprisingly, one of the writers, J. Mills Goodloe, just so happened to have adapted The Best of Me which was based on a Nicolas Sparks novel and took coincidences and tragic drama to a whole new level even by Spark adaptation standards. And it’s that element, combined with an annoying yet laughable narration, mainly the one at the end, which really took The Age of Adaline from a good flick to above average if not forgettable. This release comes with a matted slip cover and inside is a redemption code for the Digital HD copy. Audio Commentary – Director Lee Toland Krieger provides an insightful track giving background on the film and focuses mainly on the technical aspects. Early on, he commends commentaries in the past including Paul Thomas Anderson and David Fincher. 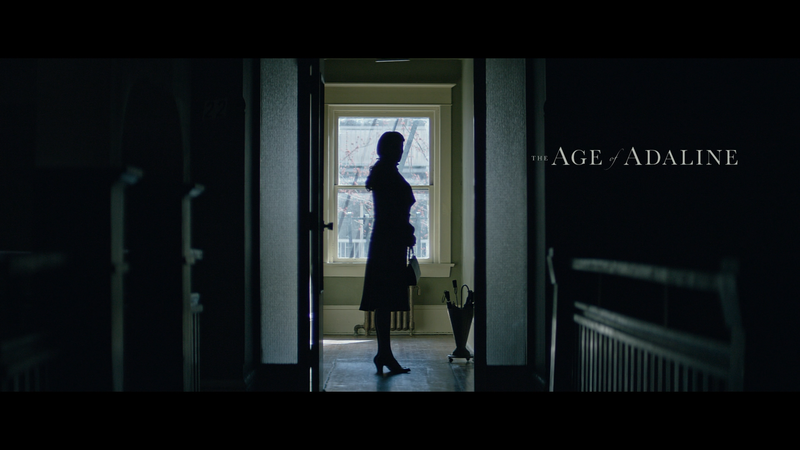 A Love Story for the Ages (29:38; HD) is a featurette on the origins, the director’s style, and provides some behind-the-scenes footage and on-set interviews with the cast and crew. Styles Throughout the Ages (18:19; HD) expands more on Krieger’s visual style as well as the production and costume designs, going from one era to another. Discovering Young Harrison Ford, Anthony Ingruber, An Online Sensation (8:19; HD) – Long title for a featurette but this delves into the casting of Ingruber who does an uncanny impression of Ford. Deleted Scenes (4:30; HD) – There are a couple of scenes removed though the first one was decent enough and added some suspense, though not necessary. Lionsgate releases The Age of Adaline onto Blu-ray presented with a 2.40 widescreen aspect ratio and a 1080p high-definition transfer. The picture offers sharp detail levels while colors are generally bright and even keeled and darker scenes are stark with good contrast and no noticeable instances of artifacts or aliasing. It’s a good transfer that showcases each era quite well. The bigger surprise, however, is with the audio. For some reason this received the newer Dolby TrueHD Atmos track which decodes to 7.1 channels for older receivers. Thankfully it’s not an overkill of a lossless track showcasing deep dialogue levels especially with the opening and ending narration, fine depth for the crash scenes while still able to output minor aspects including ambient noises and Rob Simonsen’s drama-fantasy score making usage out of the front and rear channels. Overall, The Age of Adaline seemed to be born out of a Nicolas Sparks novel with incredible coincidences and a quasi-sappy storyline. That said, I can’t deny this was at least an entertaining and inventive romantic-drama with some fine performances including Harrison Ford and Ellen Burnstyn, and to some extent Blake Lively. If you’re game for this type of film, it might be worth a rental. The Blu-ray released by Lionsgate offers great video and audio transfers and a respectable selection of bonus material.